I am trying to achieve a Curve for this game that feels snappier, responsive and maintains the micro movement at its best. So far I came up with this curve ( Still kind of a Beta Curve ), that fits my expectations. -ADS Feels very accurate at slower movements, and the curve boosts when faster movements are used to be able to switch target faster. Feel free to make adjustments and give feedback, share your experience in this thread so we can tweak this curve together and maybe achieve something great ! Hey mate, thx for sharing your curve. I have tryed it and its pretty good, defenetly much better than no curve, since deceleration is pretty bad in this game, but i would say you made too much acceleration. I have set sensetivity to my normal 15cm/180 for slow turn, then i tryed turn a bit faster and the faster i turned the less cm/180 it was, wich makes aim inconsistent. I guess just decrease acceleration and it will be good. Looking foward to see next version. And btw is there any reason for having separate curve for ADS in this game? The only reason for the ADS curve is so that I can fine tweak micro movement. Other than that there is no need. ye, I been messing around with different curvs today, aim is rly inconsistent and i dont understand why, some sudden drops in sensetivity for unknown reasons, if they wanted to counter mouse adapters users then they did a good job. ill wait for your improved version. I came up with an idea yesterday while playing BF4 ( as it works too @#$% good with Xim ), lets see if the ballistic curve allows me to implement that. 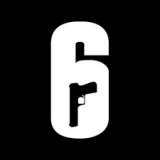 R6 aiming feels like more inconsistent the more you apply turn the stick on the controller, it starts accelerating at some point with no fixed values. Maybe I can bump sensitivity up on my xim, reduce the curve at the beginning by a large number so Micro aiming stays smooth, increase the sensitivity to a G point in the middle before the acceleration starts and completely remove any acceleration at the end, in order not to use the the fraction of aiming with acceleration. Understand what I mean ? Maybe we can achieve a more linear aiming with this method. I might be able to try it later already. The stutter is not a mechanism. Halo 5's horrible controls are a mechanism. This - this is just a straight up bug. i managed to come up with a new curve that actually seems to work better than the one I made first. Did not have time to try it out in MP as I gota get up soon tomorrow. I will give it a go tomorrow and update the thread in order to get feedback. any luck with the curve, mate? Yes, I was supposed to update the thread couple of days ago with a new curve I have been working on, but the fact that the aim mechanism is bugged in this game, has thrown me a couple of days delay into my work, I have been trying to fight the stuttering that seems to be more frequent when using the curve to a point that it does not bother me or any other player using my curves that much. I might release something I cam up with the last few days and see what you guys think about it later today ! Thread updated. Please share your opinions after testing the curve so I know what to look for when adjusting the next curve. Both curves are still online so you can swap between them as you wish to. Just tried your curves, not really sold on the hip curve i'm getting s lot of stutter when looking around, but your ads curve rocks. Since the last patch something has changed, i went from taking out most of the team myself in mulitplayer on a regular basis, to being lucky if i can finish a match with a 1kd, its been a very frustrating 2 weeks, tried your curves and played 3 rounds tonight and was top of the leader boards again, your curve is 75% there, but i'm not complaining i can finally give as good as i get in a round now. Glad you enjoying it. Can you tell me when do you get the stutter? I mean if going left right fast, or just slow movements. And which curve are you using ? 1 or 2 ? please tell me what mouse you using and DPI, so I can try to recreate the same situation. My main problem with the curve at the moment are the diagonals, they just DONT WORK... its a fight to do a diagonal move in this game. PS: 2-3 patches ago they changed the aiming for sure... I told Mist about it but he said nothing changed while trying the game again. The game sure feels more floaty to me with xim than it used to be. I feel like im fighting with the aiming the whole time while playing. I was using version 2 of your curves, i noticed the stuttering when i first started playing, but to tell the truth i just kept it and got on with it, didn't hinder me much at all. I feel that the developers are trying too hard to cram new features into the Xim4 that they have taken the eye off the ball, and a couple of the latest triple a titles that have come out are not translating to a true 1 to 1 experience with the Xim4, according to what the forums read. Its not the Xim4 developers fault but how the game companies look mechanic is being designed, i think they need to look into this and find a work around. Take rainbow 6 Siege, i have friends that only use the controller to play and they are having no issues getting on target and taking down the opposition, but with us using the K/M its an up hill and frustrating issue, this is not how its was meant to translate too, i have being using the Xim since version 2 and up till 6 months ago was very happy with this product, now i'm starting to look around for alternatives on the market. Because we have basicly been told its how the games has been designed we cant do anything about it, so you have to make do. I'm sorry but for me personally its not good enough. I know exactly the feeling, and I am about to order 2 oder products to test them myself side by side with xim in a near future. Cronusmax Plus and Tuact venom just to see how Xim still holds agains the competition. Back to topic tho, rainbow six ST as far as I know is a compromise between keeping the stuttering as low as possible and precision. Hopefully UBI will be able to repair their aiming mechanism in the future so Mist can review the ST and come up with something better. Ps: Tuact reviewed their profile for R6 Siege and I keep looking into their forums, no one seems to complain, thats why I wanna give it a try.